At Callibrity, our passion goes beyond our work - we do much more than just write code. Above all else, we believe in having a servant mentality. Whether serving your co-workers, your family members, or your community, having a servant mentality brings a greater purpose than the typical 8-5 grind. Join us as we reach out to those in need around us. Check out the great organizations we proudly partner with and support. And if you have a worthy cause that you think fits our goals, please let us know! Our servant mentality goes beyond helping nonprofits. We strongly believe it is our duty to impact the landscape of the close-knit Cincinnati tech community for the better. Whether you’re a meetup organizer looking for a place to crash, you want to find developers with similar interests as you, or learn a new skill, you’ve come to the right place. Callibrity hosts a monthly happy hour open to all, and regularly hosts tech meetups. Check out our Events calendar to see what’s happening this month. We provide meeting space to tech meetup groups at no cost. Centrally located in Blue Ash, our facility seats up to 45 people and has A/V equipment, a projector or whiteboard, and is available on request. NetSquared is part of a TechSoup initiative that brings together nonprofits, activists, tech leaders, tech funders, and everyone who's interested in using technology for social change. We were excited to help expand the NetSquared footprint into Cincinnati by sponsoring Cincy Techies for Good because the organization encompasses what we are most passionate about: technology, giving back, and fostering the tech community through mentorship. Cincy Techies for Good is currently one of 60 global cities represented in the NetSquared community. Recent Cincy Techies for Good projects have included an enhanced web experience for A Voice for the Innocent’s online community, an asset management application for Deerfield Township, and a mobile app to help low income families manage their money smarter to get back on their feet. Check the meetup page and join the Slack group, GitHub, and follow #Tech4Good on social media to get involved with a cause important to you. 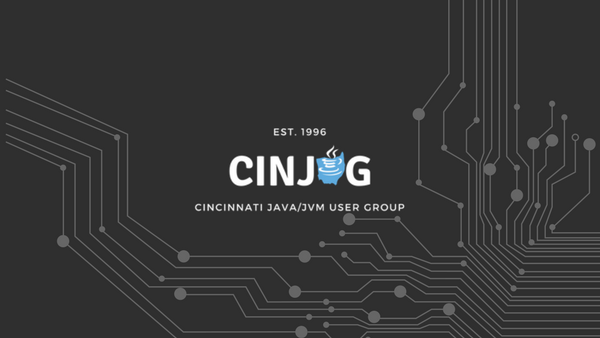 The first CinJUG (Cincinnati Java User Group) meetup was held in 1996, one year after Java was released in 1995, making Cincinnati home to one of the first Java User Groups in the world. 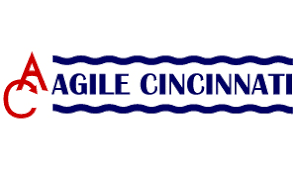 CinJUG is also one of the oldest meetup groups in Cincinnati, and has evolved from Java only to Java and JVM to open up a larger pool of presenters and subject matter. Callibrity CEO, Mark Wehby, took over as director of CinJUG in 2017. Ever since, the meetup has had 30+ Java developers in attendance and continues to grow. CinJUG meets the 3rd Wednesday of every month at Callibrity from 11:30am - 1pm. 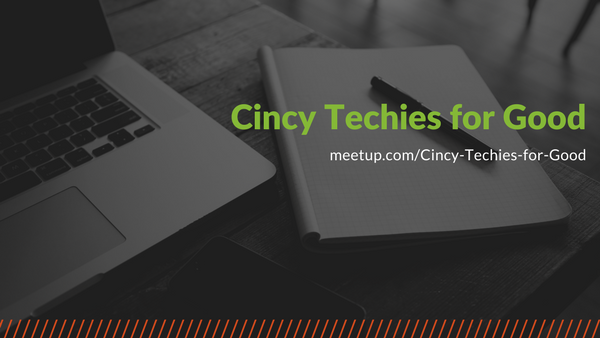 Follow @cinjug on twitter and GooglePlus, and join the TechLife Cincinnati meetup page where all future meetups will be posted. CinJUG and Cincy Techies for Good are always looking for more sponsors and presenters. For inquiries, please Contact us.